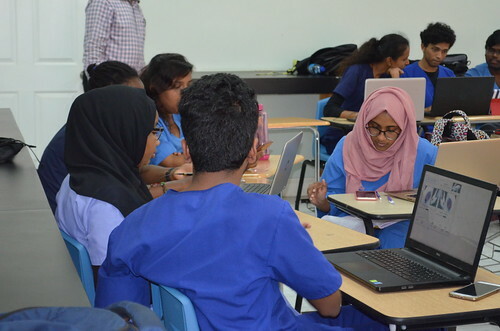 MD4 students participated in a computer-aided learning session in pharmacology on Tuesday, 29th May at 1 pm. Working in three small groups students used computer software to study the effects of medicines on dog blood pressure, rabbit eye and frog heart. Each group was provided with a set of tasks to complete. The session served to reinforce important concepts in the autonomic nervous system and the relationship between the autonomic and the cardiovascular system. They presented their findings and demonstrated various experiments on the class laptop. They explained their findings with points and concepts being added by the facilitator where required. The active, hands-on learning session was appreciated by the students.